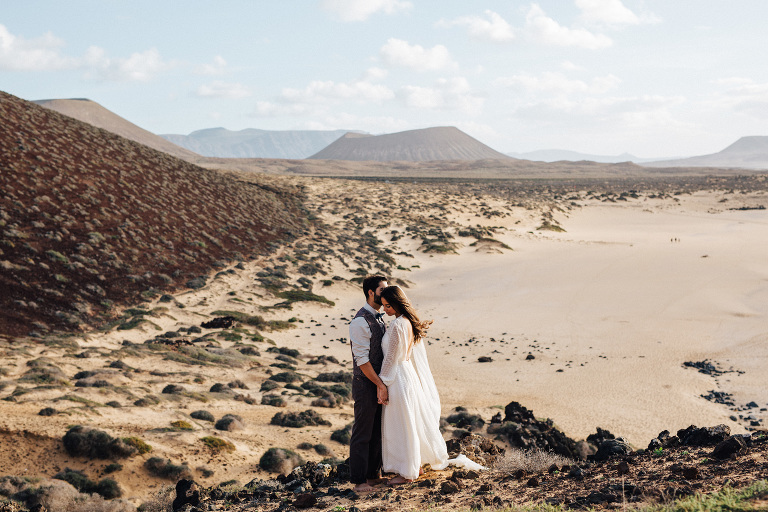 Miriam and Eduardo are featured here on the beautiful island of La Graciosa. 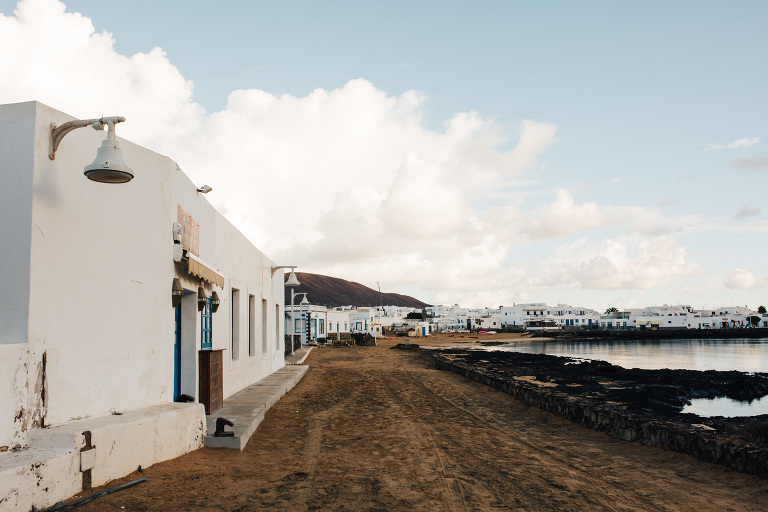 La Graciosa is a tiny island in the Canaries off the coast of Morocco. Visiting this particular island is like stumbling on a long lost world. Paved roads don’t exist here. Dirt roads meander through little, white stucco homes. Your options are to travel by foot, bike or oldschool 4×4. This island is the perfect place to elope because it is so isolated from the outside world! 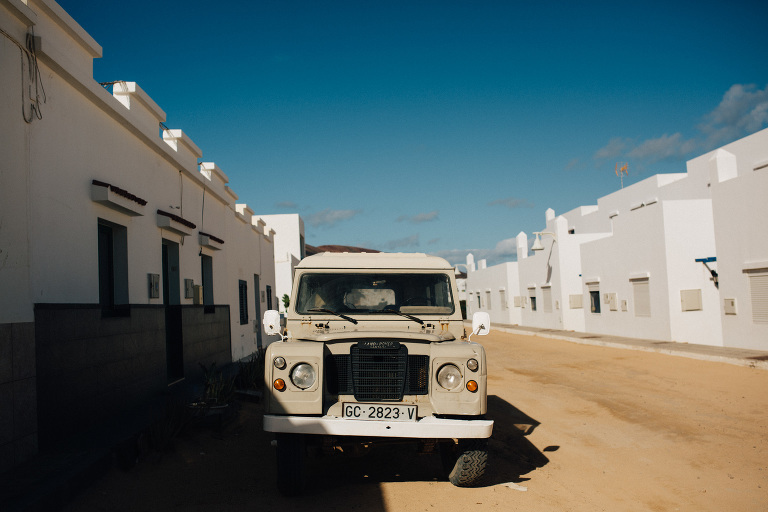 The scenery on and around La Graciosa is stunning. Volcanos, impossibly blue water and soaring cliffs create a dramatic setting. The weather is prone to shift every five minutes or so. If you are spontaneous and adventurous, you will love the contrast of sudden warm downpours and shocking sunsets. Word of warning: Don’t drink the tap water like I did! It is SALTY. Want to see other cool elopement destinations? Check out this post about Maui weddings!